No. 3/9 University of Florida shut out the previously undefeated Marshall Thundering Herd, 8-0, in five innings on Saturday afternoon at Katie Seashole Pressly Stadium. Sophomore Michelle Moultrie hit her second home run in two days while going 1-for-2 with a stolen base and a key sacrifice bunt. Junior Stephanie Brombacher earned the win for the Gators (7-1, 0-0 SEC), throwing the complete five innings, striking out five, including four looking. The righty (5-1) allowed five hits while walking only one. Katie Murphree (5-1) recorded the first season loss for the Herd (7-1, 0-0 C-USA), pitching four innings and allowing six Gators hits and six earned runs. The Gators started scoring early by knocking in two in the first inning. Junior Aja Paculba drew a lead-off walk to get aboard. Freshman Brittany Schutte hit Florida's first triple of the season of the left-field wall, allowing Paculba to score. Senior Francesca Enea stepped up and nailed a double to the right-field wall, driving Schutte in to put the Gators up 2-0. In the bottom of the inning, Moultrie hit her second home run in two days to center field to increase the Gator advantage, 3-0. Enea’s home run was the first of the tournament with runners on base as the Gators have rocketed nine solo shots in the three games. 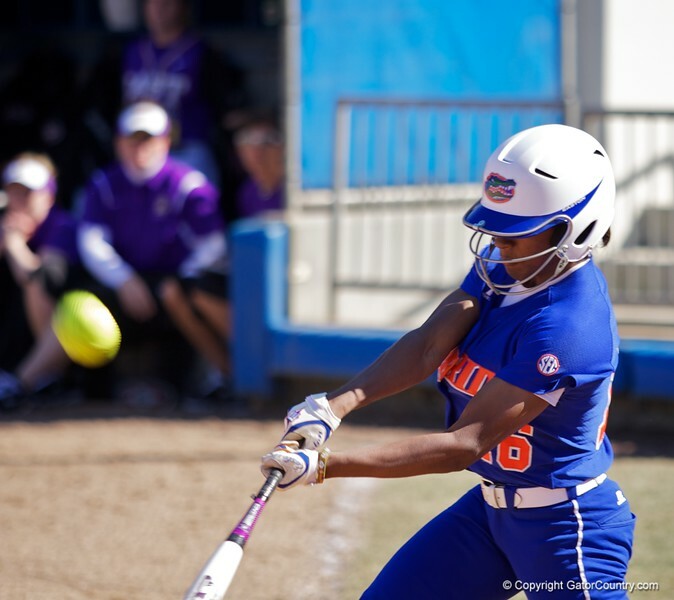 The Gators have tallied 19 home runs on the season through eight games.